i have played for 5 days on my phone. but today when i start install game on PC, log in and i have to play from begining. someone know why? and how to fix it? 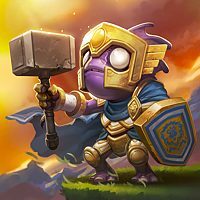 As all account data is stored on the Hearthstone servers, it isn't possible to lose your progress. You're either using the wrong Battle.net Account or you've logged into the wrong region. Double check you're using the exact same email on all devices. In the Blizzard Launcher, check all three regions by adjusting the dropdown menu above the Play button. On mobile devices, log out then change your region using the drop down in the top right of the screen.